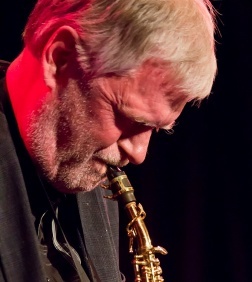 Thomas Gustafsson plays the saxophone. He stands with both feet in improvisational music, because that is were he belongs, that is where he flourishes. Thomas is a curious saxophonist. 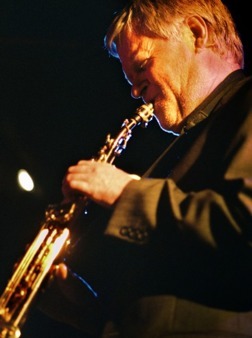 He plays both the tenor and the soprano saxophone as if they were a prolongation of himself. His way of playing is impulsive, exploratory and in constant motion. He has always gone his own way musically, happily throwing himself out in the open, constantly reinventing and pushing the boundaries of what constitutes music. In 1978, Thomas left the woods of Värmland for Gothenburg, and has since then become something of a legend on the Swedish music scene . During his 40 years as a professional musician he has worked with some of the most prominent musicians; Anders Jormin, Bobo Stenson, Audun Kleive, Jon Balke, Lina Nyberg, Anders Kjellberg, Bengt Berger, Lindha Kallerdahl and many more.